Faith And Fortitude: Does Anyone Have The Strength To Cope Over A Season Like We Can? It seems like only yesterday that Celtic sold Moussa Dembele to Lyon in a last minute £20m deal. Teeth were gnashed and expletives were being dished out like confetti on social media and there was rightly anger and disappointment galore. I include myself in all of that. So here we are on the eve of a return to “proper” football as the Hoops travel to Love Street – old habits die hard. I know its New St. Mirren Park aka The Simple Digital Arena but to me it’s always going to be Love Street, where titles were won and legends established. The international break may just have given us a welcome respite from it all despite it usually being as welcome as a fart in a spacesuit. New signings Daniel Arzani, Filip Benkovic and Mulumba trained today as did Lewis Morgan … they will all have opportunities in the weeks to come. Of the four, I’d be more inclined to think that only Benkovic will make the squad for this particular trip. Despite the welcome additions, we as fans should now place faith in the existing squad. Boyata, whom many will never forgive for his antics, strolled the game against Sevco recently and admittedly is our best central defender. A sentence I never thought I’d write. Again, this is all a result of Rodgers’ guidance and mentoring. He deserves immense credit for it. I’m pretty relaxed about the Boyata issue now that the anger has subsided. He’ll go in the summer, or sooner in January, which gives Celtic time now to buy another defender and a striker. On the subject of defenders, once fully match fit I believe Benkovic will become a regular. In the midfield, Mulumba and Morgan will definitely feature throughout what could be a long season. Once Sevco fans get over their airport Europa League celebrations, reality will bite them on the arse despite the growing bravado from them. Arzani, despite contrary headlines, is here for the long haul. He’s barely weeks into his loan and the media are already casting doubt over his future and trying to stir it. They are essentially willing a young talent to nosedive here. They are lusting for another Musonda. We will need him over the course; we have a lot of games coming up. If you look back at the Invincible season, Celtic played 9 games in December due to European commitments. They did the same the following season. Both yielded trebles as history shows. This is the key to the season; stamina. Celtic has it in abundance and despite the newspapers and broadcast media continually informing us of our “stuttering start” or “crisis”, I firmly believe we will seal 8-in-a-row. Whether we seal another treble remains to be seen; it’s not easy to do, which is why we’re the first Scottish club to win them back to back. But Celtic has a team of experienced winners. It showed in our last league game despite being under pressure. That’s what winners do, they perform under pressure. 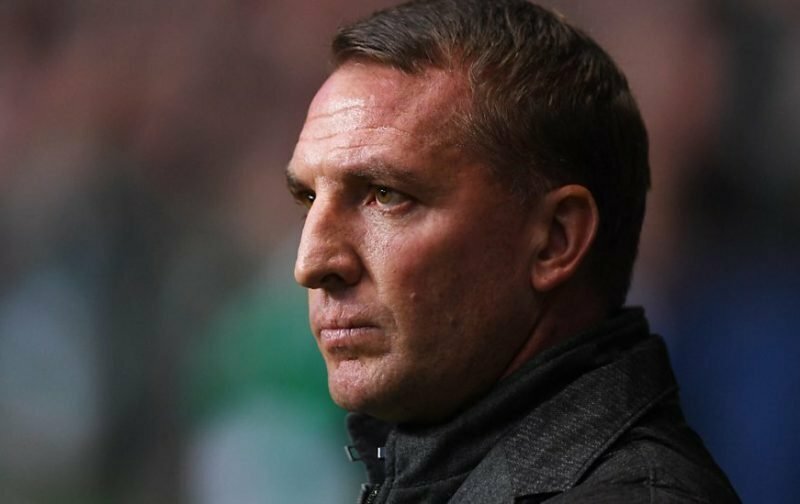 Rodgers took flak prior to that match, and the likes of Kris Boyd were bumping their gums about how a defeat would see the end of his role as manager at the club. Utter tosh. That game was forecast as the biggest coming together since McCartney and Lennon but it was a total mismatch. It was an anti-climax for those outwith Celtic. For us it was business as usual. If you analyse the after match celebrations, the way manager the chose to mark it tells its own story. Rodgers directed, produced and played the script out before a live studio audience. It was two fingered salute to the doubters and a show of strength by the team; they showed up for business, with nothing on their minds but a win, right in front of the support and the millions viewing. This gives me great hope. The team seem to have a determination back. Rodgers more or less did his version of a Green Brigade banner saying “I’m the Boss” during that week. He showed all his best qualities. He showed true leadership. Yes, we’re disappointed a player of Dembele’s stature left but good players leave. His time was going to be up at one point although for me, personally, he sullied it with his schoolboy antics. It’s evolution like it or not. Kenny Dalglish left as did, as did Larsson. Guess what? Celtic survived. You could name a dozen others who’ve sought pastures new. It’s those who remain who matter. I have no doubts over the players we have. They can go on to seal another title. The road may be a little rocky getting there but titles aren’t won at a canter. Should Celtic pick up a run of results, I’m sure the mood will certainly change among some of the doubters. If you believed the papers. the likes of Brown, Tierney, McGregor, Eduoard, Forrest, Sinclair and the rest had all been rendered incapable overnight. I love nothing more than others writing us off. Yes, Hearts are off to a flier and Celtic will need to win by 5 or more to take top spot for all of 24 hours (should Hearts not lose at Motherwell). But over the course of the season the question will be this; do Hearts have the stamina? Meanwhile at the other side of the city, pointless Dundee will take on Gerrard’s faltering team. Anything other than a win is a disaster given their “great start.” Should Dundee rescue a point or even secure a win it will most likely set the cat among the pigeons. Let’s see how they cope with real pressure. Gavin McCann is a Celtic fan and blogger from Glasgow. Like all of us, he’s delighted to have shut up the doubters.